NEW LESSON begins this evening with @AbuKhadeejahSP at the #SalafiMasjid at 7.45pm. 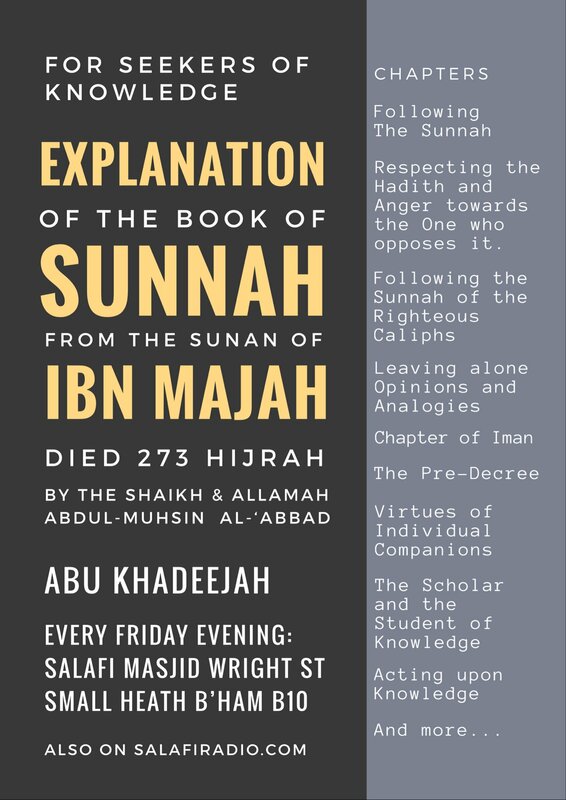 Explanation of the Book of Sunnah of Imām Ibn Mājah (d. 273AH) by Al-‘Allāmah ‘Abdul-Muhsin Al-‘Abbād. All welcome: note-taking recommended. Bring your youth; get them acquainted with knowledge.